Associate Architect - Architrave, Ltd.
MEP Consultants - The Engineering Studio, Inc. Structural Consultants - Matrix Engineering Corp.
Civil/Landscape Consultants – Terra Engineers, Ltd. Rehabilitation and renovation of existing nine story residential building. CHA goals, embraced by the design team, included 100% fully accessible units and a minimum LEED Certification Rating of Silver. 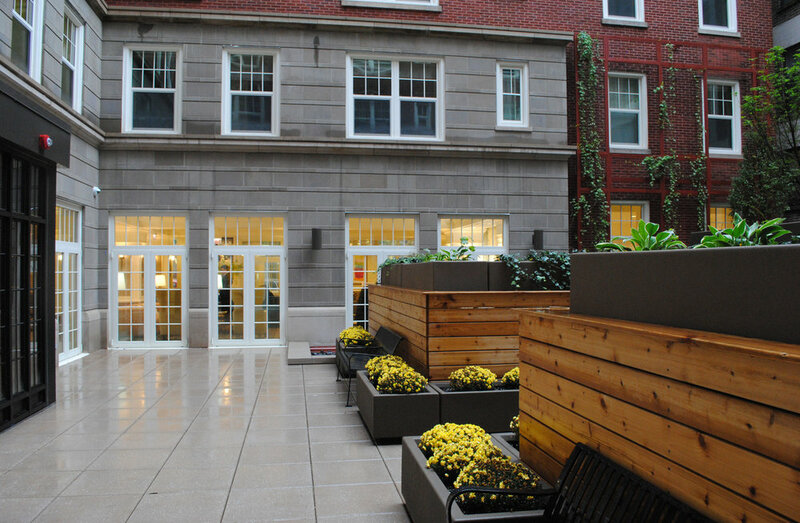 With CHA’s encouragement, the design team pursued and achieved a LEED Platinum Certification. Making the Pomeroy a true flagship facility for senior housing. In 2013, the project was honored with the Richard H. Driehaus Foundation Preservation Award for Rehabilitation. Renovation includes: masonry and terra cotta restoration on street facades, including cleaning and providing matching materials; new stainless steel anchoring and flashing systems; adaptation of main entry, courtyard and alley facades; new fenestration; and development of open areas including site, courtyard and roofs.